It’s a beautiful Sunday afternoon, after lunch with friends you head over to the course to hit a couple of balls and swing a couple of your favorite clubs. Except, today is different because you want to take your favorite golf balls with you. However, your favorite golf balls are a $40 Callaway or TaylorMade and you sure do not want to lose them. After your first couple of swings, you accidentally lose one of them. This is where your face turns a bit orange and you think, “Oh man. I need to find it.” Well, if you have ever been in this situation than you know that nothing is worse than losing your most expensive or precious golf balls through a field of grass. Well, next time you have such a problem, remember to take out your golf ball finder glasses. Do you know what golf ball glasses are? We actually were quite impressed with this little creation and we salute the individual that created the very first one. These are specially designed products that have a unique and special lens that make it easy for individuals to find their white golf balls against the green background. The way it does this is by minimizing the color of green and enhancing the color of white on the course. Therefore, we want to begin and discuss the top ten golf ball finder glasses, so you never have to lose golf balls and money again. Have you ever been on the golf course and after having the perfect swing it took you longer to find the ball than to walk to get it? Well, this problem is easily removed from these specialty glasses. If you are seeking easy to wear and carry sunglasses, these are the ones for you. By blocking out foliage and enhancing the white ball, you can easily find any golf ball on the course. This is the Feisuo Finder Lenses. Not only does this product make it easy and simple for an individual to find the ball on the course, but it is also very comfortable. The shell of this product is a plastic and rubber shell design that is flexible, lightweight and very comfortable to wear all day long. To add to this, it allows for the individual to be comfortable in the area region when they wear this product. This item offers eye protection. Whether it is UVA, UVB, and UVC protection, it is quality designed to block out the suns rays. 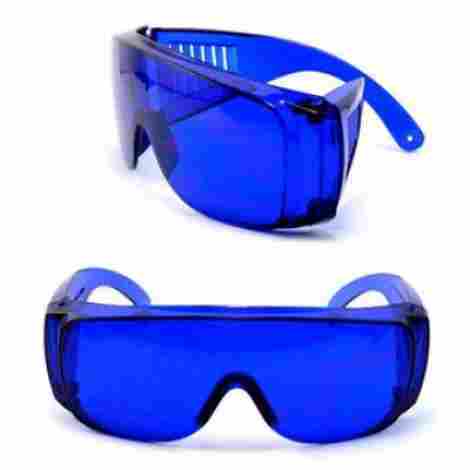 With this, an individual can actually only wear these on the golf course, eliminating the need to carry and take other glasses as well. Overall, the eye protection adds to the quality design. How much are you willing to pay to find one dollar? That is the million-dollar question! Let’s say each golf ball, especially if they are Callaway or TaylorMade is about one dollar. With that, imagine how much money you would save if you had these glasses that allow you to find the ball easily? For a very low price, you never have to waste money on lost balls again. Helps to identify white areas on the course. May be hard if the grass has a lot of white. 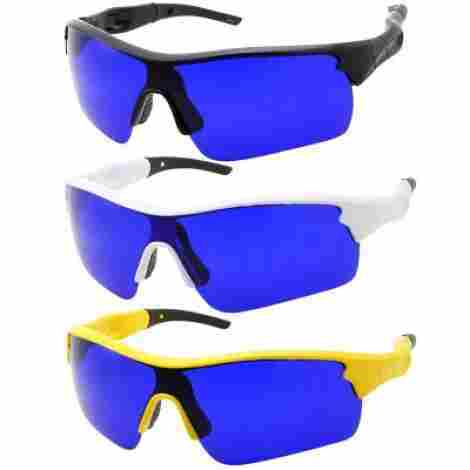 If you are thinking of getting yourself some quality sports sunglasses, this is the pair to get. The Hulislem S1 Sport Sunglasses are quality designed and intended to withstand any wear and tear. With that, they actually have a wide variety of features that make them a quality product to consider. With a quality lens and durable frame design, this product is a great quality item. This product happens to be mirror flashed coated. Essentially, the coating limits the amount of light that can enter the sunglasses. This minimizes any bright light that may enter your eye area and strain your eyes. This is extremely beneficial in summer environments or bright days on the golf course. With UVA, UVB, and UVC protection, this is a quality design. For an active individual, there is nothing better than sunglasses that are designed for wear and tear. This product happens to be designed with a stress-resistant frame that allows for the individual to easily wear the product for long periods at a time. They also are designed with quality cushioning and air ventilation to avoid any heat you may feel or encounter. As far as the value and cost for this product, we want to share with our audience that it is priced very fair and around the same range as many other sunglasses are the same design. With that, it comes in five color choices to choose from and it makes it easier for an individual to be able to find a golf ball on the course due to the HD coating and quality lens design. Quality coated and designed to be anti-scratch. Comes in five color choices. Dual lens polaric ellipsoid design. Does not distort natural colors. May not fit wide faces. May be a bit tight. Like product number one on our list, we want to make it easy for our audience to find their golf ball. If your golf ball is a collectible, a rare item, and trademark of your golf abilities and you lose it on the golf course, we can feel your pain. Well, with these specialty sunglasses finding your golf ball is easy. 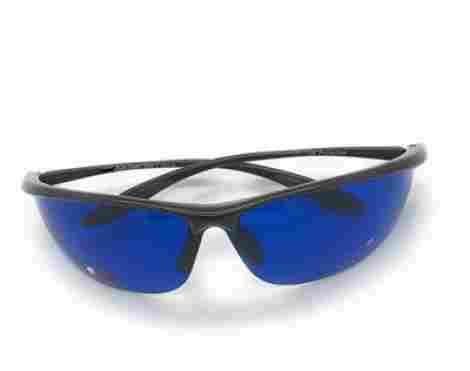 This is the VGBY Golf Ball Finder Glasses and below are two excellent t features. This product is very easy to wear. Although the brand does have a disclaimer that they should not be worn as everyday sunglasses, this product does come with many comfort features which are common. For instance, they come with a rubber nose pad and end tip design, so you do not accidentally scratch your nose or head. With that, they are lightweight and easy to carry around. This product is designed to help a golfer find their golf ball by blocking out foliage and enhancing white color tones. With this, they come with a case and carry a cloth to make it easy for an individual to be able to carry these glasses. Simply place it in your duffel bag or golf stand bag and head to the course. Next time you lose a ball or cannot see where it landed, use this to find them easily. To discuss the value and the cost for this product, an individual can save a lot of money by being able to find the golf balls instead of needed to find new ones. With this, the price of this product is around the same price as many other glasses. Overall, the user will notice that they work very well, are comfortable, durable, and easy to pack. Easy to find golf balls. As we have said before, with a product such as this you can easily save how much money you invest in golf balls because of losing them. This product is a small investment with a big payoff. This is the Posma SGG-10 Golf Ball Finder Locating Glasses and we want to discuss with our audience and share the benefits of this specific product. This product is designed to fit over prescription eyewear. The lens is rather large so if you wear glasses you don’t need to take them off. To add to this, the design is simple, high quality, and intended to be durable and well designed. They will not damage your current eyewear, you can simply place the glasses over them. Once you wear them, you will notice that this brand focuses on quality and comfort. First, they are designed with a soft rubber nose pad and end tip that is designed to ensure no scratching or discomfort. Overall, the designed is also wear and tear resistant so it makes it simple for an individual to be able to easily wear it and store it. It does come with a nylon case and bag clip as well. These happen to be a bit more costly than other brands for various reasons. The design of these sunglasses is intended to be very high quality, but most importantly, the overall wear and tear resistance add to the durability of the product. With that in mind, individuals will discover that this brand also focuses on customer satisfaction and quality to ensure the best. Protects against UVA, UVB and UVC protection. Perfect tool for the bright sun. Easily helps find missing balls. May be a bit more costly than other brands. This next golf ball finder happens to be the least expensive so far. However, it still is a quality product worth considering. With a durable polycarbonate lens and quality frame, it has many features that make them worth considering. if you are unsure whether a product like this will work and you want to test it out, this may be the best one. Let’s talk about MyUV Golf Ball Finder Glasses. The design of this product is a strong and durable quality frame that is guaranteed to last. The lens itself is a quality lens that is lightweight and very durable. It also is resistant towards wear and tear, scratching, and even pressing. Overall, if you want durability and quality at a low price, this is worth considering. The lens of this particular frame has many features. For instance, the frame is great for running and it is designed to be anti-reflecting and also protects 100% against UV rays. With that, it aids in trying to find your white balls against and grassy background. With that in mind, individuals will also like the fact that the lens is intended to protect your eyes in style. As far as price and the value, users will enjoy the fact that this product is easily compact and also priced very affordable. In fact, there are not many brands that actually price their products, as well as this brand, does. To add to this, the design is convenient, durable, high quality, and easy to take with you on the go. Unlike other golf finder glasses, you can wear this one all day long because of the UV blocking technology. Durable frame and construction design. May feel a bit tight at first. These next glasses are not particularly intended for helping find golf balls, but they do help an individual and enhance their vision by adding more clarity and an HD look to whatever they see. This product is high quality, polarized, durable, and intended to last. These are the Siplion Men’s Polarized Sunglasses and here are two features to consider. The design of this product is not only efficient, but it happens to be lightweight and durable. To add to this, the design is super light, and it is very easy to carry for long periods at a time. However, lightweight does not mean cheap. The design of this product is designed from the stress-resistant material that is TR90. With this, individuals can easily expect comfort and wear and tear resistance. Polarized means that an individual will not receive any glare when driving or wearing these glasses for long periods at a time. To add to this, the design offers 100% UV protection which blocks harmful UVA and UVB rays. 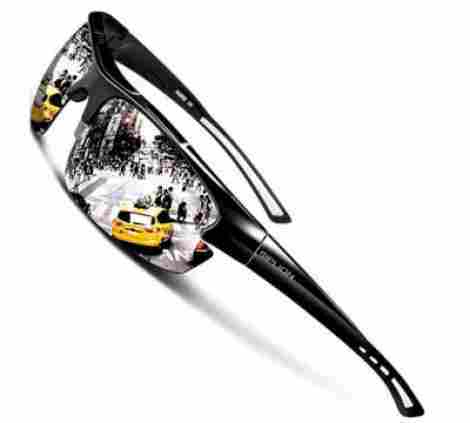 Overall, individuals can expect the design to be more comfortable and the lens to be more durable. The price and value for this product are evident in the construction and benefits of the lens. Not only is it durable, but it is constructed to last. The super light and stylish design are also very modern and the sleek appearance looks very cool on an individual’s face. With that in mind, the frame, the construction, and the design are all durable and they even come to a 30-day money back guarantee. Durable construction and light design. May be hard to wear in bright and reflective conditions, such as the ocean or beach. From the Team Sport brand, it is time to share a simple product design that is intended to help individuals find their golf balls. 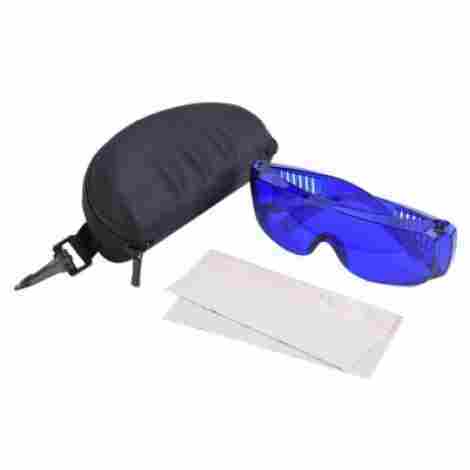 With an all plastic design that is very durable and very lightweight, this product offers eye protection but most importantly, helps the user find his or her golf balls on the course. This specific design and product come with a quality carry case. This item comes with a zipper case that is designed to conveniently carry the product and keep it safe when needed. An individual can easily place the case inside their golf bag or duffel bag and take out the glasses when needed. How does a product like this work? Well, the design of this item happens to be specially tinted to help filter through color and enhance the white color that an individual sees on the golf course. With this color design, an individual can easily notice where the golf ball landed, aiding in the process of finding the golf ball. Never lose your quality golf balls again. Many golfers tend to fear using their specialty golf balls because they may never find them again. Well, with this specific product an individual can easily get to know where his or her golf balls are, allowing you to also save money on balls. For this quality benefit alone, we see this as a worthy and worthwhile product to consider. Find your golf balls quickly. Conveniently carry your important products. Save hours looking for your golf balls. As the next sunglasses, we are moving away a bit from the golf ball finder design and focuses on durability and quality. Although these do help an individual find golf balls easily due to the minimal glare and overall quality frame, they are intended for all sorts of different weather and sporty environments. These are the O2O Polarized Sports Sunglasses and here is the first benefit. The design of this product is intended as eye armor. Not only are they lightweight with an ergonomic design that fits comfortably, but they also happen to be designed with an unbreakable and scratch proof frame and lens. The impact resistant design will not fog and wicks away sweat allowing an individual to focus on the target, the golf ball. The design of this lens is different than golf ball finder lenses. 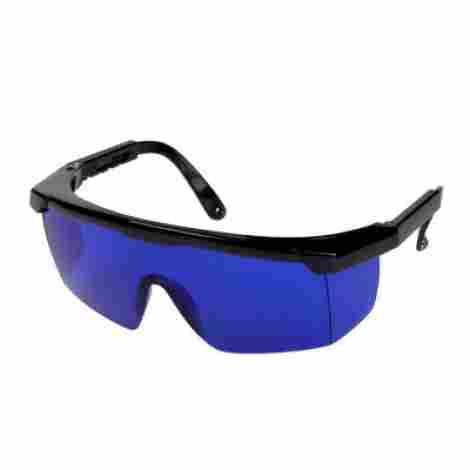 Although they can be considered golf ball finder sunglasses, they do so by allowing an individual to see more clearly. By minimizing the sun’s rays and offering UV protection, an individual can eliminate glare. 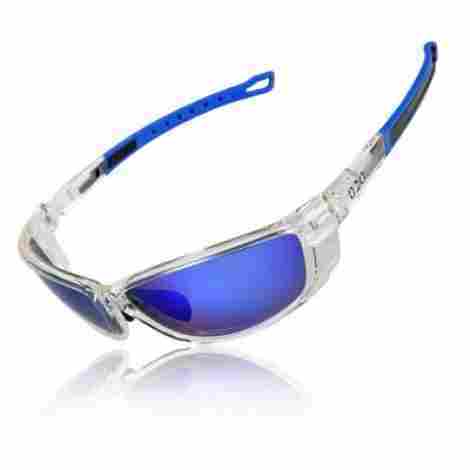 Overall, the HD design is very high quality, and can the sunglasses can be used in all different environments. As far as price and quality, this product is constructed to be durable, efficient, high quality, and comfortable. With this, individuals can use this for a variety of different sports and the clarity of the product allows for a full true color experience. The non-slip frame is durable, and it is designed to last while also minimizing pressure on the temples. Quality design for sport environments. Can be used during golf. Creates a more clear and visible line of sight. Polarized to minimize sun flairs. May be too big or wide. May be too lightweight and feels like you have nothing on. Time to discuss another sunglass design that is evidently one of the most touted and high quality. 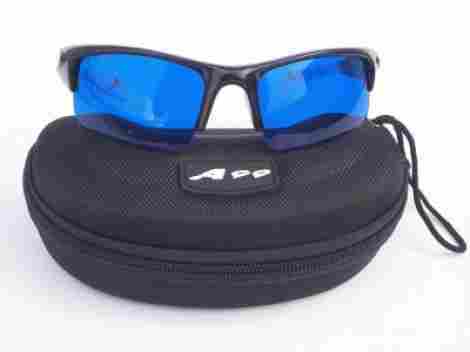 With high-quality reviews and many happy customers, the A99 Golf E-BW Golf Ball Finder is a fan favorite for individuals that want easy to find sunglasses. With a molded case and quality construction, here are two reasons many individuals tout and love this product. This product makes it easy for an individual to find his or her golf ball. If you are using the golf ball the grandkids got you for Christmas or you are using a quality golf ball made by a premium brand and you do not want to lose it, this is the product to get. With an excellent construction design and quality benefits, we recommend these lenses. The design of this product is very premium and has a great feeling of texture. For instance, it comes with a comfortable nose guard design and they are also created to last due to a durable frame construction. With this, individuals will enjoy the quality of the design and the overall durability of the product. The frame is also very flexible and easy to hold and pack. The price of this product is reflective of the quality and the design. Individuals will find that the price is around the same price as other brands and that the case is as equally durable as the product itself. With this in mind, this product is touted for its construction value and quality design. With that, we recommend this product to individuals that want a ball finder that also acts as glasses. Quality golf ball finder design. Comes with quality carry case. We have come to the last glasses on our list and this brand offers a unique feature that many other brands do not have. If you are leading a group of golfers and you want them all to save a little bit of money and be able to see their golf balls, this brand allows you to buy these as a value pack of three. With that, we want to share why they are such good quality. These are the grinderPUNCH Golf Ball Finders. The design of this product is very sport and we can see that in the construction. It comes with a rubber tip and rubber guard so an individual does not hurt himself or herself when placing them on. With that, it is wide enough that it blocks any potential blind spots where you may miss the ball. This product works on any white or yellow golf balls by illuminating light colored objects easily. The design of this product is intended to make it easy for an individual to never lose their golf ball again. Now, it does not see through grass, but it helps an individual easily identify the white areas within the grass and the golf ball itself. As far as the price, it is relevant to many other brands in the industry. With that, the design is also much like other brands except this product may have a couple more comfort features to consider. Overall, the design is easy to wear, it is a wrap-around design and the sunglasses itself are comfortable. Also, they come in a variety of colors to choose from and you can get them in a three pack. Value pack price is excellent. Flexible with rubber nose grip. Can you see how a product such as this can be highly beneficial? Well, we are happy to have built a bridge between you and such a cool product. Now, are you interested in how such product works? This is where we start to dive into the criteria used in evaluation. As you read, a couple of them were not designed with the golf finder lens that is synonymous among many authentic glasses. However, they were designed to minimize glare, have UV protection, and enhance the visual that you see to make it easy to find a golf ball. With that in mind, if you want to get to know exactly how a golf ball glasses are built, then we have the criteria for you. Let’s begin! 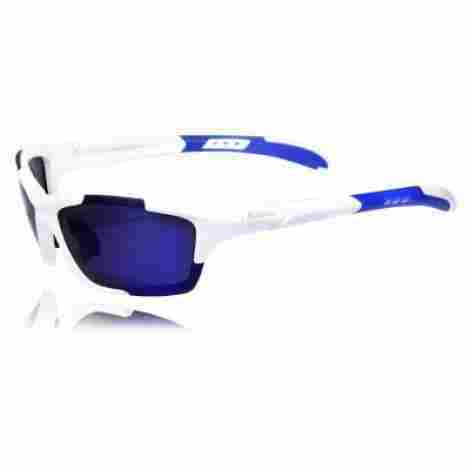 There are golf ball finder glasses that are designed with the blue filter that allows for the individual to be able to see the white ball easier, and there are glasses that are designed to be polarized that aid in the process of finding your golf ball. These types of glasses are considered regular sunglasses or shades. With that in mind, it is important to consider that some polarized products are not designed with the blue filter and are not specifically made for finding golf balls, but they may help in the process. Now, when looking at the design, there are a couple of specific factors that we found to be worthwhile. Many of the products we shared happen to be wear and tear resistant and anti-stress. Meaning, they do not break easily due to the material composition and overall quality, which we will discuss in the next criteria. With that, many of them are flexible and are very lightweight. One of the highest rated features that many individuals want is the nose guard. Many of these glasses, alongside sport quality glasses, are made with a nose guard and rubber ear guard to ensure protection to that areas. Many of these products are also designed to be water resistant. With that, it helps an individual be able to use them during rainy weather. To add to this, they are also fog resistant, moisture-wicking and very easy to clean. As one of the key features of these products, the material quality is crucial to the design of the product. The reason being is that the material quality ensures maximum durability. Now, what is the material of these types of glasses? Most commonly, polycarbonate. This material is a blend of fibers that include carbonate and other materials. With that, this material design is highly durable, wear and tear resistant and very high quality. Overall, individuals can expect this material design to be of the best value and quality, guaranteeing that it will work for years to come. There are a couple of different factors that cause the price to vary as far as a product such as this. First, the price will vary depending on the quality of the product and the design. Secondly, the price also varies if it has rubber nose guard or if it is hard and plastic nose guard design. To add to this, some of them are designed to be impact resistant and even have reinforced tiny screws on the sides to ensure maximum durability. However, the most common price range is between $10 and $25. With that, individuals can expect the carry case to be included for almost all of them. One last factor is color. There are many different brands that create them with colored frames such as black or white. However, there are also some brands that extend the lens design to the arms and create the whole product to be a blue tint color. With all of this in consideration, we want to move forward and discuss some of the most asked questions when it comes to this specific topic and product design. Q: How do you clean the glasses? A: These glasses are designed to be very easy to clean. In fact, many brands include a cleaning cloth with the purchase of the glasses, making it easy for individuals to clean them on the go. If you get a tough stain or dirt on them, you can also clean them effortlessly with water and a cleaning cloth. Q: Is the carry case zippered? A: Yes, many of the carry cases we share are designed to be zippered and come with padding and a cleaning cloth on the inside. The outside is wear and tear resistant and they happen to be hard cases so they protect the glasses very well during transit. With that in mind, some of the brands include the cleaning cloth inside of the case as well. Q: Can I use the glasses for everyday purposes? A: No! This is why we also shared golf ball finder glasses that act as activity glasses. 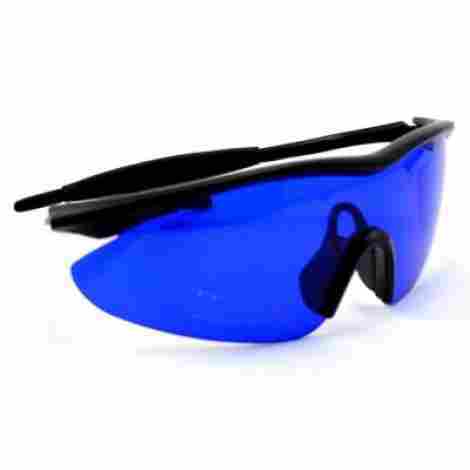 You do not want to use these glasses for everyday purpose because they are not intended to block out the sun, be polarized, or aid on the golf course other than to find the ball. A: These glasses completely limit the color tone of the grass and allow the heightened white color tone to be enhanced making it easy for an individual to find their golf ball. Now, this does not see through grass so it is important to keep that in mind.